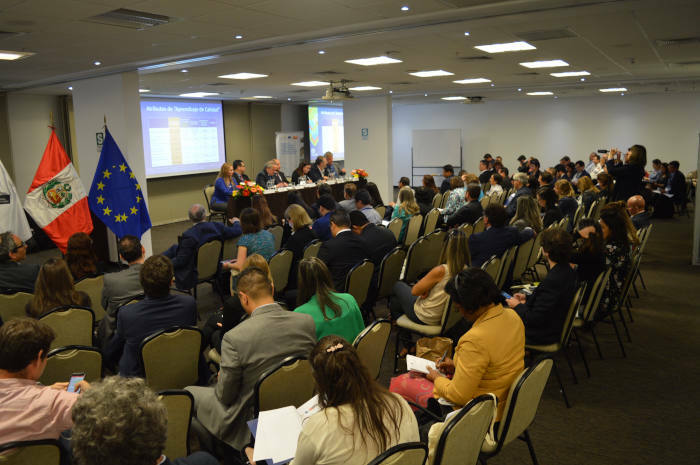 This event, held in Lima, has been a space for debate aimed at advancing the involvement of companies in strategies to promote youth employability based on the integration between work and training, both in the workplace and in educational centres. In addition, the issues addressed included the keys to successful experiences, how to transform them into channels for social inclusion or make them sustainable, how to guarantee employment rights, improve youth employability and at the same time ensure the productivity and competitiveness of the companies. The European Union ambassador to Peru, Diego Mellado, stressed that the presence of multinationals in the country, plus bilateral free trade agreements with social standards, should translate into “a market of 510 million European consumers having a positive impact on the employability and training of young people“. This meeting, organised by the EU-LAC Foundation together with the EUROsociAL+ programme, which is financed by the European Union and managed by FIIAPP, has welcomed representatives from labour ministries, national training institutes, business organisations, trade unions and civil society from Europe, Latin America and the Caribbean, as well as international organisations. The Peruvian Ministry of Labour and Employment Promotion also participated in the seminar, along with the International Labour Organization (ILO) and the Inter-American Centre for the Development of Knowledge in Vocational Training (CINTERFOR-ILO).